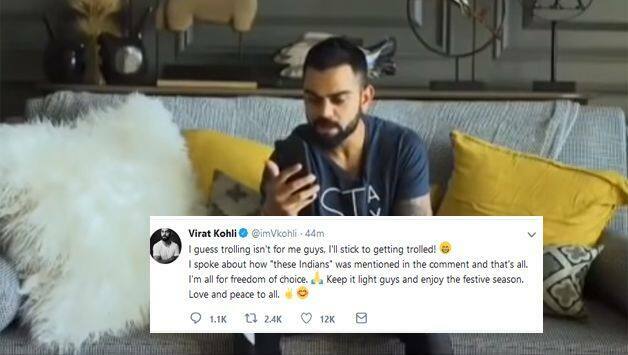 In the tweet posted on Thursday, Kohli has said that he tried his hand at trolling (the fan), but he will stick to getting trolled. 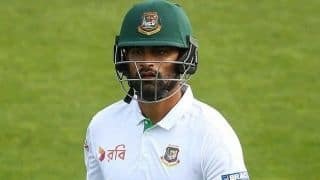 After receiving huge backlash for his tongue-in-cheek reaction to a fan, stating that those who prefer English and Australian batsmen should not live in India, Indian skipper Virat Kohli has now sent out a clarification tweet. 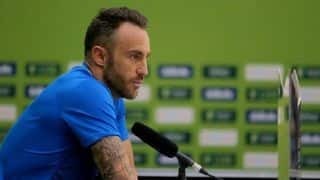 Kohli went on to add that his reaction was specifically to the fan saying he enjoys watching English and Australian batsmen more than ‘these Indians’, rather than taking it personally. Kohli was heavily criticised for his comments he made in his official app which also prompted an adverse reaction from the BCCI. “We, at the BCCI value our cricket fans and respect them and their choices. I loved to watch Sunil Gavaskar bat, but also loved watching (Gordon) Greenidge, (Desmond) Haynes and Viv Richards. I loved watching Sachin, Viru (Virender Sehwag), Sourav (Ganguly), VVS (Laxman), Rahul (Dravid) bat but also loved Mark Waugh, Brian Lara and so many others. Shane Warne for me has been the most exciting spinner to watch, but one felt the most thrill when Anil (Kumble) was bowling. Kapil Dev on song was a delight to watch as were (Richard) Hadlee, (Ian) Botham and Imran (Khan),” BCCI treasurer Anirudh Chaudhary had said earlier in the day as reported by The Times of India.